Thumball starts with a ball and this simple fact can not be overlooked. To begin a game of Thumball we sometimes hurry to explore the prompts and questions found under the thumb to get everyone talking. Sometimes a simple game of toss and catch can be the best start. Encourage players to enjoy just tossing and catching Thumball. It is novel fun especially in an unexpected setting like a training session or classroom. Allowing players time to learn how to best toss and return the ball is time well spent, it allows the thinking mind to relax and brightens the atmosphere. Playing catch is a great start to social skill development which includes all the ways we communicate and get along with others. 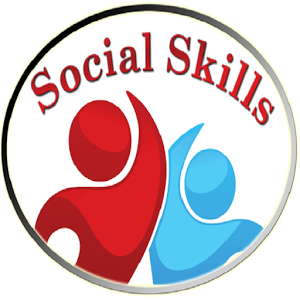 Verbal and nonverbal language, eye contact, using polite forms and expressing ourselves clearly are all vital skills to play and interpersonal relationships. Once some time is spent tossing and catching the game can begin. A player can be instructed to catch and then locate where their right thumb is on the ball, look under thumb and read what is written there! They then answer or respond! A great way to extend the first prompt is to next toss Thumball to each player and have everyone answer that same prompt. Great way to warm up the group. Then each and every participant has a chance to answer. Giving everyone a chance to speak is a key component of The Thumball Magic. Once all have shared the next player can do the same with a new prompt! This technique gets all socializing by speaking and listening in functional and fun ways. As time winds down there may not be enough minutes for all participants to answer every prompt so, play can change to every turn utilizing a new prompt. The player can answer for themselves or ask another player. Asking another is a great way to take the pressure off and develop the essential social skill of showing interest in others! This too is key to positive social interactions. Thumball has endless variations making it a game that encourages creative thinking while always remaining a ball to use for the simplest playtime fun, a game of catch! Toss, catch, respond, play, socialize and get along! Whether getting to know each other at school, work or home, Thumball will be there to get everybody talking! This entry was posted in Education, Thumball Products, Uncategorized and tagged communication, social skills, thumball. Great List of Kid’s Toys-No Batteries Needed!